I’m not above a little bribery. As previously mentioned we recently moved in order for me to start my new job. Very quickly it seems we’ve come around to needing to renew our lease and there’s a small amount of doubt as to how easy this will be to do. It’s not that we aren’t good neighbours but more so that our landlord may want to sell our unit. So, in hopes of persuading them that we should really be staying here I decided to make some appropriately timed hot cross buns. I absolutely love any baking that involves having to use my hands – bread, pizza dough, pasta, even shortbread where you have to crumble butter into flour. It makes the whole experience so much more enjoyable (and yes, so much more messy). I’m still not that confident when it comes to using yeast but after buying a pizza stone and using it frequently I’ve learnt some tricks and can confidently make some basic doughs. The good thing about this recipe is it’s hard to get wrong. 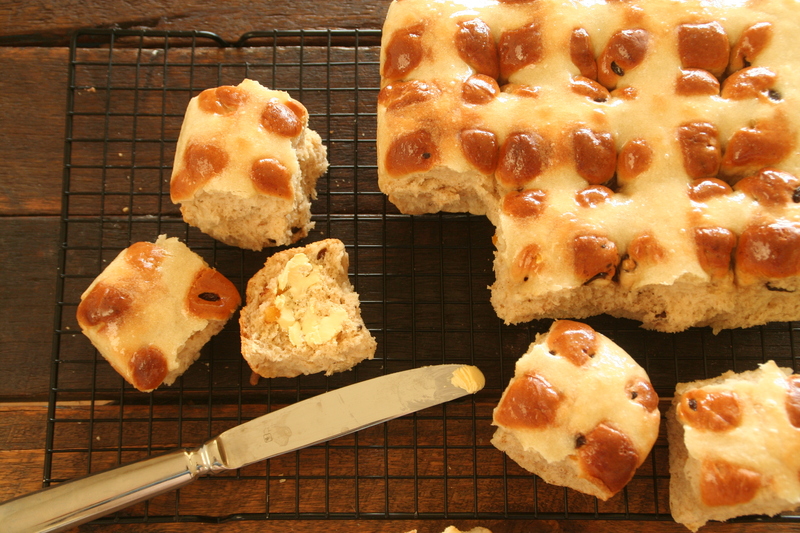 The awesome thing about hot cross buns is the endless varieties that can be produced. 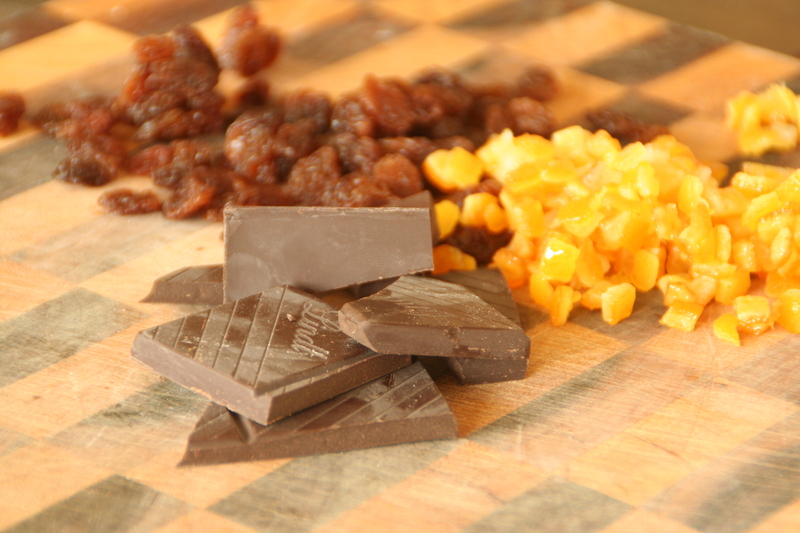 I chose to go with a somewhat traditional sultana and mixed peel rendition but also added some dark chocolate to break it up. I used 85% cocoa chocolate which is bitter and not very sweet as the fruit already has some sweetness but if you’d prefer you can use chocolate with less cocoa. Warm milk in saucepan over low heat, do not let boil. Combine with yeast and sugar and cover with cling wrap. Allow to sit for 10 minutes or until frothy. In a large bowl sift in the flour and spices then rub the butter in with your fingertips. 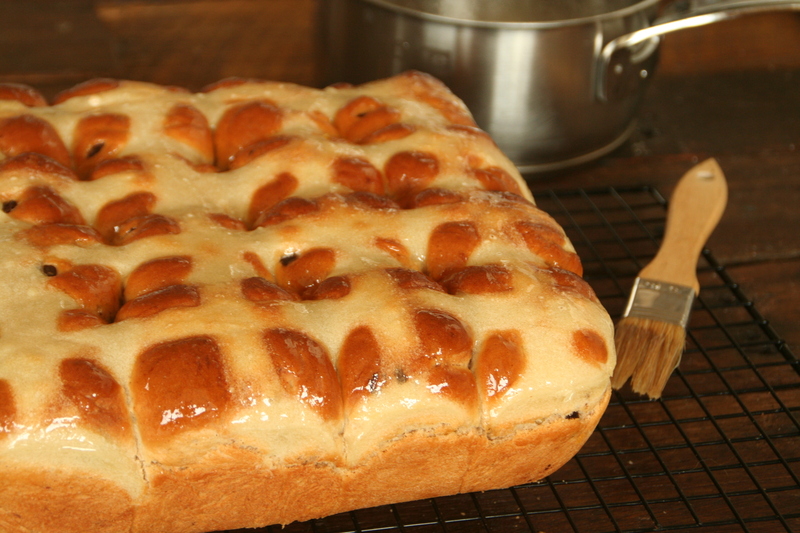 Add the yeast mixture, egg, fruit and chocolate and mix well until you have a soft dough. Cover and let sit for 1 hour until doubled in size. 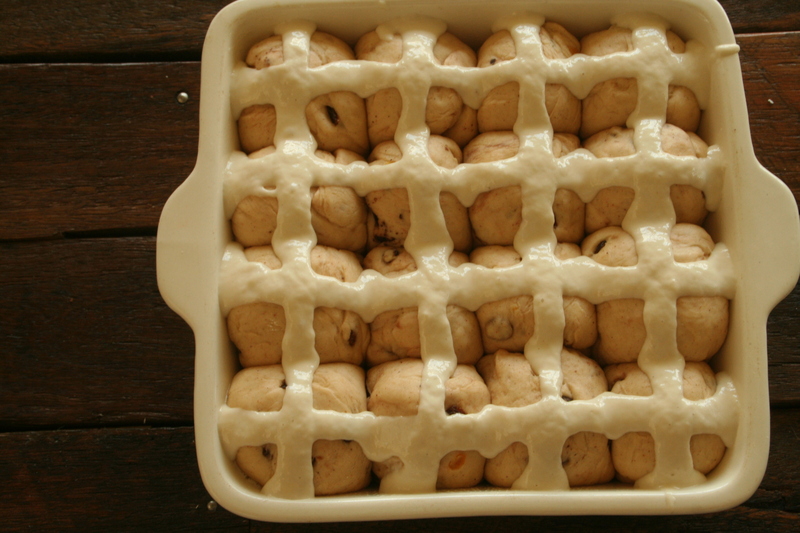 Preheat your oven to 200° and grease a 23cm square baking tin. 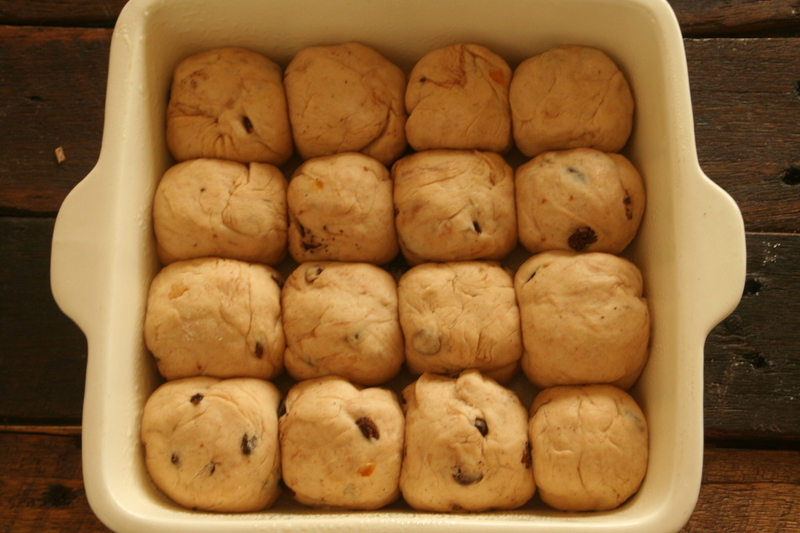 Knead the dough on a floured surface until smooth (4-5 minutes) then divide into 16 even pieces. Roll each piece into a ball then place in tin. Once all pieces are arranged allow to sit for 10 minutes. Make your paste by mixing just enough water into the flour and sugar. 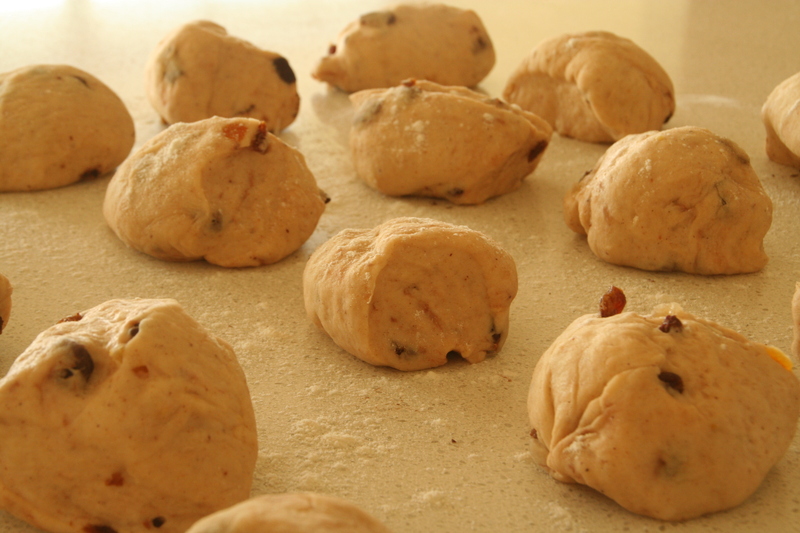 Ensure the mixture is smooth before piping onto buns. Bake in oven for 20 minutes or until golden. Allow to cool on a wire rack. Combine the above ingredients in a small saucepan and heat slowly without boiling until completely dissolved. Brush onto still warm buns. Allow to set and cool before eating. They look pretty impressive. I’m sure they will taste as good as they look. More importantly I’m hope they get you a lease renewal. 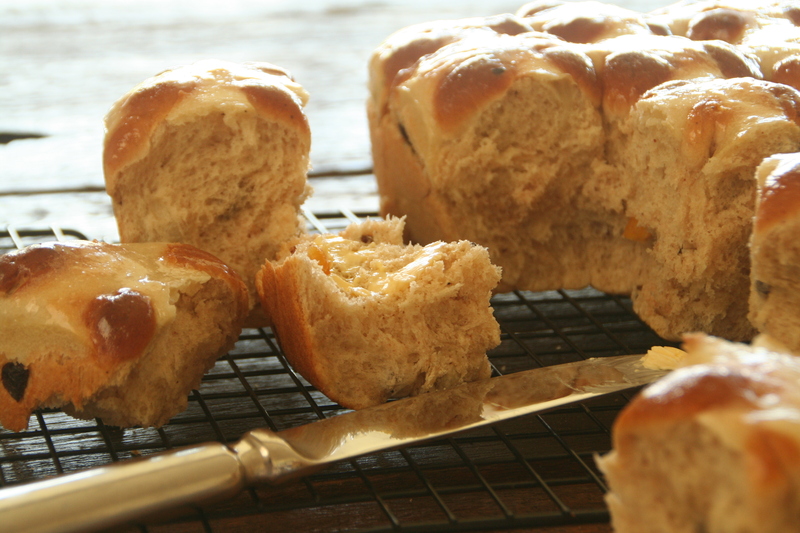 These buns look so light and fluffy! Wish I had one to enjoy with my morning coffee! pretty 🙂 And I loved the not being “above a little bribery” line. heehee. Good luck! Duly noted for when my students need some bribery–er, persuasion. These look delectable! I totally agree about getting messy with the hands, although I do prefer when it involves highly lick-able brownie batter…thanks for sharing these, I’m going to definitely try them soon for a brunch potluck. I never had one of these until this weekend. They are so much better than I expected! Yum! When they’re done right (and yours definitely seem to be! 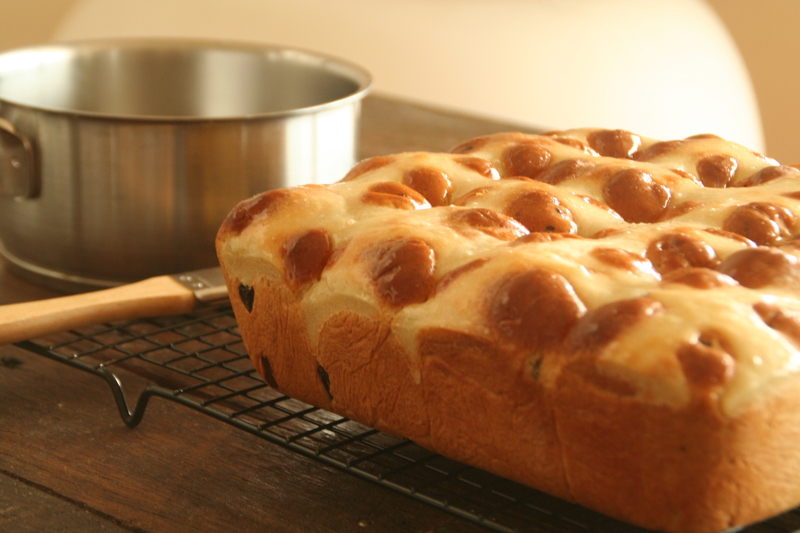 ), hot cross buns are one of the best parts of spring. 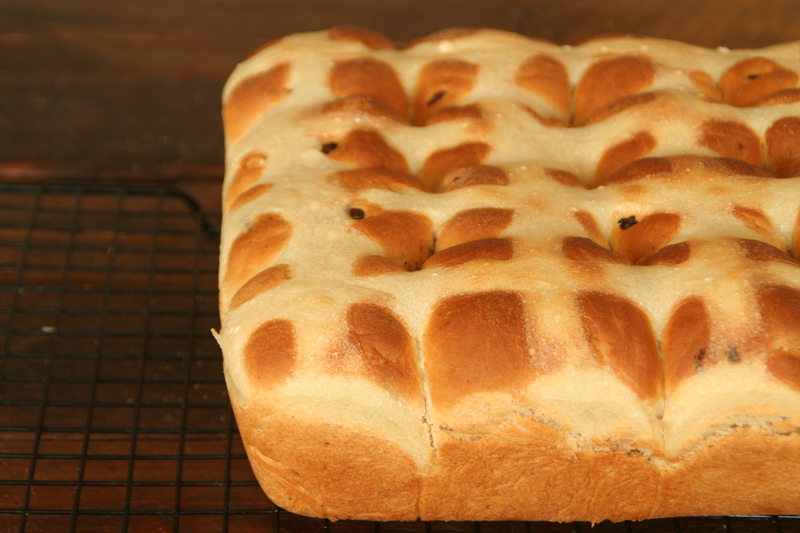 Thanks for sharing this recipe with your always-great photos and helpful tips. These don’t look like any hot cross buns I’ve seen before, and I’ve never heard of adding chocolate to them. Fantastic!